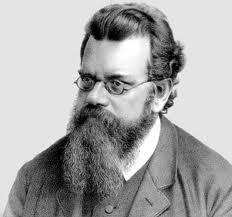 The lasting fame of the Austrian physicist Ludwig Boltzmann (1844-1906) rests on the statistical interpretation which he gave to classical thermodynamics. Ludwig Boltzmann was born on Feb. 20, 1844, in Vienna, the son of Ludwig and Katharina Pauernfeind Boltzmann. In 1863 he entered the University of Vienna, where one of his teachers was Joseph Stefan, author of the law of radiation named after him. Evidence of the creativity of Boltzmann's intellect was the fusion of thermodynamics and molecular theory that characterized an early paper on the mechanistic meaning of the second law of thermodynamics. In it Clausius's famous formula for entropy, (dQ/T) 0, was given for the first time in terms of the kinetic theory of gases. The paper was written toward the end of Boltzmann's studies in 1866, and shortly afterward he received his doctor's degree and became a privatdozent at the university. He was also chosen as Stefan's assistant at the university's Institute of Physics, named "Erdberg" after the locality. Stefan urged his assistant to become familiar with James Clerk Maxwell's work on electromagnetism. He also supplied Boltzmann with an English grammar when the latter disclosed his total ignorance of English. Such was the starting point of Bolztmann's lifelong interest in the English-speaking countries and their cultures, but especially in the thought of Maxwell, perhaps the foremost of 19th-century physicists. Boltzmann left the institute in 1869, when he received an invitation from the University of Graz. During his 3 years there, he twice visited Heidelberg and Berlin and established contacts with Helmholtz, Kirchhoff, Bunsen, and the mathematician Koenigsberger. But he soon realized that his Austrian Gemütlichkeit clashed with the stiff formalism prevailing in German academic circles. Between 1873 and 1876 Boltzmann served as professor of mathematics at the University of Vienna. The titles of articles which he published while in Graz and Vienna indicate that his mind was increasingly absorbed in the interpretation of various aspects of thermodynamics, especially of its second law, on the basis of the kinetic theory of gases. Clearly, he was developing some extraordinary insight which had to surface before long. Boltzmann was, however, already back in Graz, as professor of experimental physics, when this momentous breakthrough came in the history of physics. In 1877 he submitted two memoirs to the Academy of Sciences in Vienna. In the first of these, presented on Jan. 11, 1877, "Remarks on Some Problems of the Mechanical Theory of Heat," Boltzmann made an incisive analysis of the formula (dQ/T) 0 and argued that its validity was not based on the inherent laws of nature but rather on the choice of the initial conditions. According to him, one had to assume on the basis of the kinetic theory of gases that the perfectly elastic balls representing the molecules always tended to change their actual positions. Consequently, any configuration, however improbable, could conceivably occur as time went on: "The calculus of probabilities teaches us precisely this: any non-uniform distribution, unlikely as it may be, is not strictly speaking impossible." It now remained to give this conclusion a rigorous derivation and quantitative applicability, which Boltzmann did in his memoir submitted to the academy on Oct. 11, 1877, "On the Relation between the Second Law of the Mechanical Theory of Heat and the Probability Calculus with respect to the Propositions about Heat-Equivalence." He concluded that the entropy of a state is proportional to the probability of the configuration of its component particles. His formula, (dQ/T) = 2/3, is, however, better known in the form S = k log W, which Max Planck gave it in 1901. His great memoirs of 1877 represented the culmination of his insights into thermodynamics and kinetic theory. It was therefore natural for him to turn to a new field, electromagnetism, mainly under the impact of his reading James Clerk Maxwell's papers and books. When the two volumes of Boltzmann's Vorlesungen über die Maxwellsche Theorie der Elektricität und des Lichtes (Lectures on Maxwell's Theory on Electricity and Light) were published in 1891-1893, he was at the University of Munich as professor of theoretical physics. In 1894 he succeeded his revered teacher, Stefan, as professor of physics at the University of Vienna and stayed there for 6 years. During that period he published in book form his researches on the kinetic theory of gases, Vorlesungen über Gastheorie (1896-1898). When the publication of Boltzmann's Vorlesungen über Mechanik was completed in 1904, he had already behind him a 2-year stay at the University of Leipzig (1900-1902). It was there that his sensitivity to criticism began to show itself in spells of depression and grave anxiety. He felt deeply disturbed by the ascendency of energeticism, whose chief proponent, Wilhelm Ostwald, was also at Leipzig. Partly because of this, Boltzmann left Leipzig; but at the same time, he was flattered that Mach's chair of Naturphilosophie was offered to him at the University of Vienna. But Mach was still very much alive, and his virulent attacks on atomism also seemed to carry the day. Boltzmann came to be referred to as the last bastion of atomism. Unfortunately, Boltzmann took the view that he was indeed deserted, although radioactivity had already been for several years a firmly established field of investigation and a powerful pointer toward the existence of atoms. But Boltzmann was brooding over what he considered the weakening of his creative powers. In a fit of despondency he took his life on Sept. 5, 1906, at the summer resort of Duino, near Trieste.